Palestinian Authority President Mahmoud Abbas said on Wednesday that the recently announced national reconciliation agreement between the Fatah-led PLO and Hamas would contribute to negotiations with Israel and achieving a two-state solution. Abbas said that there is no contradiction between reconciliation and negotiation "because we are committed to achieving a just and lasting peace based on the two-state solution and international resolutions." "Unity of the land and people will empower and contribute to the establishment of a Palestinian state with East Jerusalem as its capital," he added. Abbas said that that overcoming the division between the rival Palestinian political parties will help the Palestinian negotiators reach the two-state solution, and he stressed that the move had both Arab and international support. Abbas' statement come hours after the two largest Palestinian political groupings -- the Fatah-led Palestine Liberation Organization and Hamas -- announced a national reconciliation deal that could potentially end seven years of political division. A senior official of Palestinian militant group Islamic Jihad said on Wednesday that the five-week period set by parties to form a national unity government had the potential to derail the agreement. Senior member of Islamic Jihad Khalid al-Batsh warned on his Facebook page that the five-week period could lead to another freeze in the implementation of the reconciliation agreement. "This period will give a chance for anyone who does not want the achievement of reconciliation to take negative steps and steps that would hinder reconciliation," he said. He said that these obstructions could come from a number of sources, including "American pressure or Israeli actions against our people," or by "those who benefit from the continuing division in Gaza and the West Bank." He called on the two sides to "immediately start the implementation and reconsider the five-week period and to consider the two governments interim until the unity government and all other reconciliation files are completed." Al-Batsh's statements come hours after the Fatah-led Palestine Liberation Organization and Hamas announced a national reconciliation deal that could potentially end seven years of political division between the largest Palestinian parties. Several agreements to enhance mutual cooperation between Palestine and Jordan were signed, Wednesday, at the presidential headquarters in Ramallah. WAFA reports that Palestinian Prime Minister, Rami Hamadalla, and his Jordanian counterpart, Abdullah Ensour, discussed bilateral relations and ways to enhance mutual cooperation in various fields. They chaired the fourth session of the Joint Palestinian-Jordanian Higher Committee and signed its minutes of meeting in the presence of President Mahmoud Abbas. Palestinian government ministers and their Jordanian counterparts signed several memorandums of understanding, executive programs and protocols of cooperation in the economic, agricultural, health, defense and metrology fields. Ensour stated that his country would always support the Palestinian people and considered holding the Joint Palestinian-Jordanian Committee’s session in Ramallah, as testifying to this support. He added that his country supports the Palestinian Authority’s quest to establish the sovereign and independent Palestinian state within well-defined boundaries and territories, in line with relevant UN resolutions. Commenting on recent reconciliation talks in Gaza, Ensour expressed his support for them and called upon the Palestinian leadership to unite its people. He considered the blockade imposed on the Gaza Strip as a violation of international law and other humanitarian standards. Commenting on Palestinian Israeli negotiations teetering on the brink of collapse, he noted that his country is kept abreast of latest developments. Regarding Jerusalem, Ensour noted that his country recognizes East Jerusalem as a Palestinian territory under occupation, as well as the Palestinian state’s full sovereignty over it. Hamadalla thanked Ensour for his country’s leading role in offering political and financial support for the Palestinian people and hosting Palestinian refugees. He called upon the Jordanian Premier to reinforce his country’s role to protect Jerusalem against Israeli attempts to Judaize it and to change its demographic status. Gaza Prime Minister Ismail Haniyeh's advisor Issam al-Daalees expects president Mahmoud Abbas to visit the Gaza Strip if the unity government is formed in the next five weeks, as agreed upon on Wednesday as part of a national reconciliation agreement. Al-Daalees told al-Rai news agency that "if the unity government is formed, it is expected of Abbas to visit Gaza." Israeli prime minister Benjamin Netanyahu cancelled a planned session of peace talks with Palestinian negotiators on Wednesday after news of a unity deal between the Palestine Liberation Organization and Hamas was announced. "Israel has canceled a negotiations meeting that was expected to be held this evening," a statement released by the prime minister's office on Wednesday said, without further explanation, according to Reuters. The cancellation comes hours after top Palestinian political leaders from the Palestinian Liberation Organization and Hamas announced a reconciliation deal after more than seven years of political division. Israeli officials lambasted the deal, with economy minister and chairman of the "Jewish Home" party Naftali Bennett saying: "The Palestinian Authority has become the world's largest terror organization; we have entered a new political era in the Mideast," according to Israeli newspaper the Jerusalem Post. Bennett added that just as the US does not talk with al-Qaeda, Israel should not negotiate with the Palestinian Authority, who he called "killers." 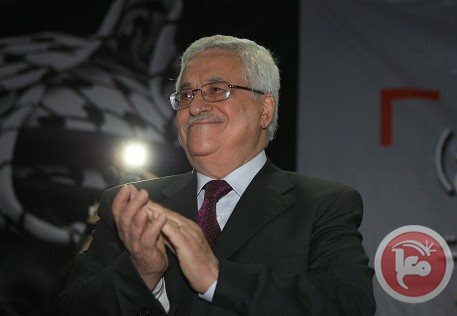 The unity deal authorized the Palestinian president to set a date for new elections and signaled a potentially historic reconciliation between the two major Palestinian political factions, the Fatah-dominated Palestinian Authority in the West Bank and the Hamas-ruled government in the Gaza Strip. Earlier, Palestinian officials announced that they had agreed to form a unity government within five weeks that will be headed by either President Mahmoud Abbas or former Deputy Prime Minister of the 2006 unity government Nasser al-Din al-Shaer, who is a member of Hamas. The parties also agreed that both Hamas in Gaza and Fatah in the occupied West Bank would release prisoners detained for their political affiliation. The unity deal comes amid a major impasse in ongoing US-backed peace talks between the Palestinian Authority and Israel, which were re-activated in July. Israel has announced plans to build thousands of settlement homes across the occupied West Bank since the start of talks, angering the Palestinians. In late March, meanwhile, Israel refused to release the final round of Palestinian veteran prisoners that it had promised to release as part of a trust-building measure, participating the current crisis. Bassam al-Salhi, a member of reconciliation committee and Secretary General of the Palestinian People’s Party, confirmed that reconciliation meetings resulted in a roadmap that will put an end to Palestinian division by forming an immediate national consensus government. The roadmap includes the establishment of a consensus government in five weeks and holding general elections in six months, he added. Al-Salhi stressed that agreement also includes restructuring the political system, and activating the PLO, in addition to addressing all issues agreed upon. The agreement is scheduled to be implemented immediately after the end of the meetings. For his part, First Deputy Speaker of the Palestinian Legislative Council Dr. Ahmed Bahar has expressed his appreciation to the ongoing national reconciliation efforts. In a press statement issued on Wednesday, Bahar welcomed the reconciliation agreement which is based on national partnership and united efforts against the occupation. Bahar stated that the general atmosphere is ready for the implementation of national reconciliation especially after negotiation path's failure. The next Palestinian phase needs united efforts to foil Israeli Judaization schemes in occupied Jerusalem and Palestinian lands. 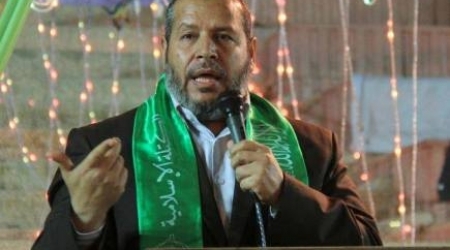 For his part, MP Mushir al-Masri, a senior leader in Hamas movement, stated that the second round of reconciliation talks has mainly focused on freedoms file. “We have achieved an important phase in reconciliation talks most notably was determining a date for general elections”, he said. “We are on the threshold of effective implementation of national reconciliation”, he said, calling for a Palestinian united position against Israeli aggression. He stressed his movement's full support to Fatah movement in face of any Israeli threats. Meanwhile, reliable sources confirmed to the Palestinian Information Center (PIC) reporter that PLO and Hamas delegations have agreed to form a consensus government in five weeks and holding general elections in six months. On the other hand, a member of Fatah's central committee Amal Hamad said that they have agreed with Hamas movement to form a government in five weeks. The delegations have seriously discussed yesterday national files including forming a government, holding elections after six months, and activating the Palestine Liberation Organization, she explained. Hamad confirmed that a positive atmosphere has prevailed during the reconciliation meetings, as all parties were determined to end the division and to restore national unity. “I hope that this positive atmosphere will continue without any future obstacles”, she added. “We need to implement the reconciliation agreement by forming a government within the next five weeks, giving the President a chance to set a date for elections in six months, and activating the PLO”, Hamad underlined. Representatives of the Palestinian Liberation Organization (PLO) and Hamas agreed to form a government of national unity, and have called for general elections within five to six weeks, officials said early Wednesday. The agreement was reached during talks held in Gaza since Tuesday. According to Secretary General of the Palestinian People's Party (PPP), Bassam al-Salihi, a "road map plan" had been agreed upon. The plan starts with the formation of a national unity government that will be in charge of organizing the upcoming presidential and parliamentary elections, which will take place at most within six months. Khalil al-Hayya (Hamas) said in a statement Wednesday that noticeable progress had been made in the talks. He added that the talks were conducted in a positive atmosphere and are expected to continue throughout Wednesday. 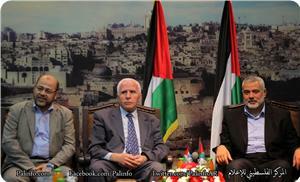 The PLO delegation, which arrived Tuesday to the Gaza Strip, is headed by Azzam al-Ahmad, a leader of Fatah. On arrival, Al-Ahmad was greeted by the head of the Hamas government in Gaza, Ismail Haniyeh, and his number two, Moussa Abu Marzouq. Haniyeh called to cement the Palestinian reconciliation "in order to form one government, one political system and one national program." 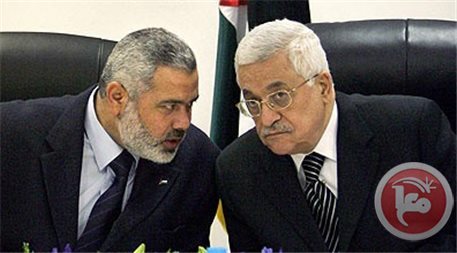 Fatah and Hamas have announced the formation of a unity government several times in the past few years, but have never implemented the decisions made. Fatah, the main party in the Palestinian Liberation Organization (PLO), and Hamas signed a reconciliation agreement in Cairo in 2011 to end the political division between the Fatah-ruled West Bank and the Hamas-ruled Gaza Strip. However, most clauses of the agreement were ignored. The last meeting in Gaza saw an agreement between the organizations just a week before the nine-month target originally set for an Israeli-Palestinian deal, and the U.S.-brokered peace talks with Israel teeter on the edge of collapse. Hamas is opposed to the current round of Palestinian negotiations with Israel. The division between Fatah and Hamas began in 2006, when Hamas won Palestinian legislative elections. 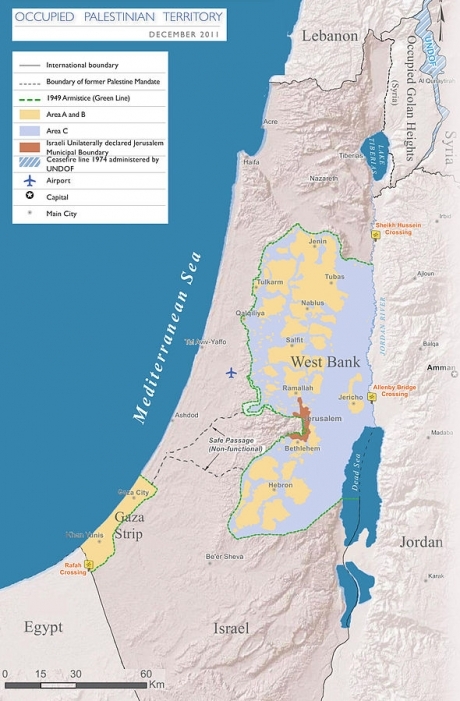 In the following year, clashes erupted between Fatah and Hamas, leaving Hamas in control of the Strip and Fatah in control of parts of the occupied West Bank. 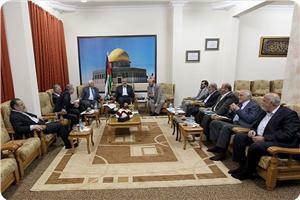 The five-member PLO delegation arrived in Gaza yesterday evening for meetings to discuss the Fatah-Hamas longed-for reconciliation. Dr. Khalil al-Hayyah, member of Hamas Political Bureau, confirmed in a statement that the circumstances in which the negotiations have been resumed are as propitious as the inaugurating meeting. Reconciliation talks are setting up measures to make a leap forward towards the execution phase. PA chairman Mahmoud Abbas’s five-member team arrived in Gaza on Tuesday evening. 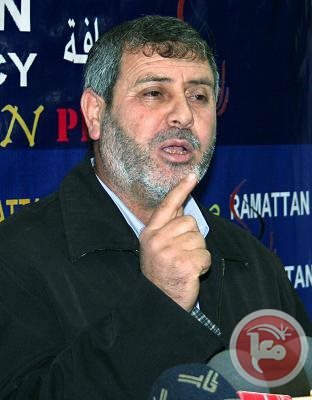 Along the same line, Ismail Haneyya, vice president of Hamas Political Bureau, has called for the immediate execution of the national reconciliation initiatives pledged in Cairo and Doha agreements. “We take it upon ourselves to protect our Islamic and Christian sanctities from Israeli desecration scenarios in Occupied Jerusalem and Palestine. We will never give up our right of return; neither will we leave our prisoners alone in their fight for freedom” Haneyya maintains. During the meeting, Haneyya hailed the Palestinian freedom fighters who sacrificed their blood and soul to defend Palestine’s sacred soil along with the prisoners held in Israeli jails. Haniyeh expressed gratitude to the citizens of Occupied Jerusalem and al-Aqsa sit-inners. “The spatio-temporal character of the Palestinian cause does no longer bear more breakouts or delays. It is high time we irrigated our people’s thirst,” Haneyya concluded. Azzam al-Ahmad, a member of Fatah’s Central Committee and leader of the PLO team, was of the same mind as Haneyya when he stressed the need to come to a national agreement over reconciliation endeavors and turn the back on split dilemmas. “The journey is still very long. This is not the destination but the starting point. Let’s not just turn the page but cut it out at one fell swoop, once and for all,” Al-Ahmed declared. Palestinian government in Gaza Strip stressed the Palestinian people's right to defend themselves and to resist occupation in reference to the Israeli recent aggression on Gaza. In its weekly meeting on Tuesday evening, the government condemned the Israeli repeated airstrikes on Gaza Strip that deliberately target women and children in the besieged Strip. The government called on the international community to intervene to put an end to Israeli aggressions and violations. The statement strongly denounced the Israeli daily attempts to storm al-Aqsa Mosque, calling on the Arab League and the Organization of Islamic Cooperation and international organizations to halt Israeli attacks on Islamic sites in violation of international laws. The government hailed the steadfastness of Jerusalemite worshipers in al-Aqsa Mosque, calling for intensifying Palestinian presence in the Mosque. In another context, the government welcomed the arrival of PLO delegation in charge of reconciliation file and member of Hamas' political bureau Mousa Abu Marzouk. 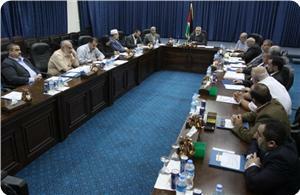 Gaza government confirmed its full support to the efforts made to implement national reconciliation. Regarding Yarmouk refugee camp, the government expressed regret over the collapse of the truce agreement in the besieged camp, calling for neutralizing the camp and lifting the siege imposed for more than 286 days, which led to the martyrdom of 146 people. A second meeting between Hamas officials and a PLO delegation from the West Bank will take place Wednesday in the home of Gaza Prime Minister Ismail Haniyeh, a Fatah spokesman said. Fayiz Abu Eitah told Ma'an that the meeting would discuss issues that had not been addressed during Tuesday's meeting between Palestinian officials. 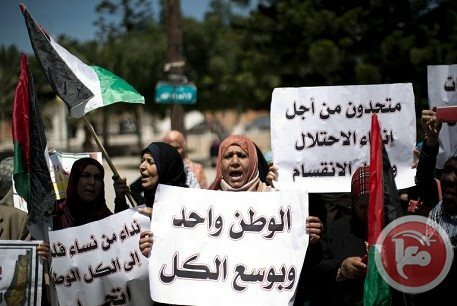 A day earlier, a PLO delegation arrived in Gaza for the latest round of reconciliation talks with Hamas. Early Wednesday, Palestinian officials announced the formation of national unity government within the "next five weeks." "There has also been progress on the holding of future elections and the composition of the PLO," a Palestinian official said without giving further details. A member of the delegation told Ma'an that a "road map plan" had been agreed upon during talks on Tuesday. The plan would form a unity government between Hamas and the PLO and would carry out presidential and parliamentary elections within six months, Bassam al-Salihi said. It is not the first time that a national unity government has been announced by the rival factions, and on several previous occasions attempts to form an administration have collapsed. 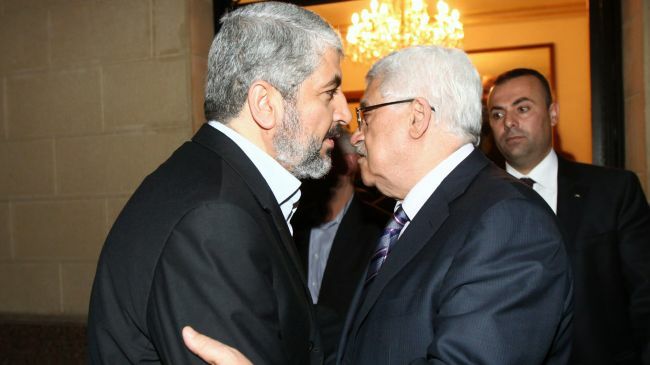 Member of Hamas politburo Khalil al-Haieya revealed Tuesday evening a significant progress in the reconciliation files resulted from the first meeting between Fatah and Hamas in Gaza. He pointed out in a press release the other files of reconciliation will be discussed on Wednesday, adding that the first talks focused on developing mechanisms for implementing the signed agreements of reconciliation. Positive atmosphere prevailed since the arrival of the Fatah delegation from the West Bank. Palestinian PM Ismail Hanieyeh received the PLO delegation, who was assigned by Palestinian President Mahmoud Abbas, at his house west of Gaza city. Haniyeh called for starting immediately to implement the signed reconciliation agreements. On Tuesday a delegation from the Palestinian Liberation Organization arrived in the occupied Gaza strip to negotiate unity with Hamas for the first time since 2007, media sources reports. The reconciliation effort coincides with Fatah's meetings with the Israelis to extend the peace negotiations beyond their previous 29th of April deadline. 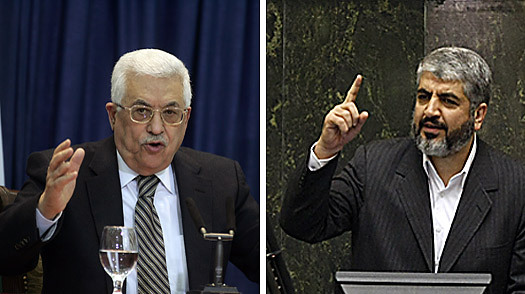 It is hard to predict what effect a reconciliation between Hamas and Fatah would mean, as it could both give Abbas further negotiation power in the talks with the Israelis, but at the same time provoke them to take actions against the PLO in the West Bank. The Egyptian-brokered unity agreement of 2011 has not been implemented due to disagreements over power-sharing and how to approach Israel. When addressed with the question if the PLO primarily engaged in reconciliation with Hamas at this point in time to strengthen their hand in the negotiations with Israel, senior Fatah official, Azzam Al-Ahmed, replied; "We want to end the division whether there is negotiation or there isn't. 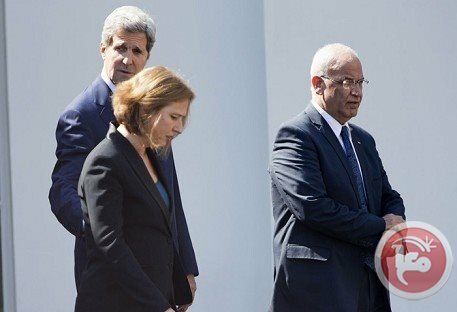 We want to build Gaza and the West Bank and end the occupation," and further that; "We are one country, one people and no power on earth could dismantle this holy bond [...]"
If a reconciliation deal was made it would not only strengthen Fatah, but also the whole Gaza strip would benefit by becoming less isolated. Even though the two sides disagree on a number of issues, the Hamas prime minister, Ismail Haniyeh, was quoted to say that; ""We must conclude national reconciliation and end the division so we can have one government, one political national agenda and one system [...] There is no room for failure at this dialogue." A man from Qalandia refugee camp near Jerusalem was shot dead late Tuesday by unidentified gunmen, police said. 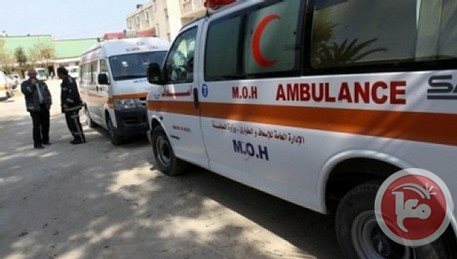 Palestinian police said in a statement that gunmen opened fire at a car parked in front of a cafe in the camp, killing 35-year-old Iyad Saad Addin Awwad. Awwad was hit several times in the back and died at the scene. Another man in the car with Awwad sustained injuries and was taken to the hospital. The attackers fled the scene, the statement said. Detectives soon afterwards arrived at the refugee camp to begin an investigation.